As most of you are aware I’m an advocate for healthy self-esteem, body confidence and overall positive well-being. This blog was created to inspire others to create a life that feels good on the inside, because I struggled with very low self-worth, self-esteem, and my mental well-being as a child/adolescent wasn’t healthy. After I had my first daughter I knew deep down I had to do the inner work to feel good within, so I could be a positive role model to her. Today, I have three beautiful daughters, and although I am far more confident now than I was at their age, and I try my hardest to model this positive self-esteem and body confidence to them, I still, at the end of the day worry for them. In fact in today’s digital, media driven society the pressure on our girls to look, and act a certain way is more prevalent than ever. Here are some facts, which I’ve shared in past blog posts, but I need to share again because they’re eye-opening, and above all, they’re scary. These are facts that make me worry for not only my girls, but every girl in today’s society. 50% of girls in grade 6 are on a diet while 36% of girls in grade 6 say they are self-confident – that number drops to 14% by age 10.
only 11% of girls age 16 are physically active enough to help their health. Young girls are more afraid of becoming fat than they are of nuclear war, cancer or losing their parents. If girls can realize their full potential, feel confident about who they are, and essentially feel good on the inside, hopefully these facts will decrease and our next generation of girls will grow up with positive self-esteem, and body confidence that will last a lifetime! 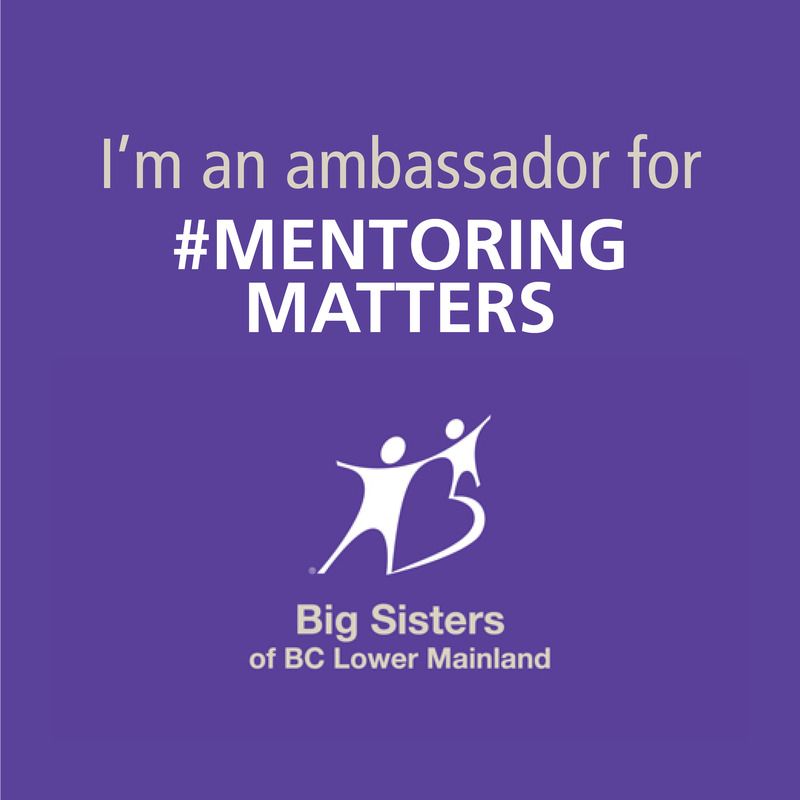 “Morguard, one of North America’s major real estate and property management companies, has teamed up with Big Sisters of Canada to implement the BeYou campaign. This nation-wide interactive campaign is designed to provide young females better access to developmental tools that will help increase self-esteem, personal growth, self-worth and empower young women who are coming of age in a media and technology driven time. 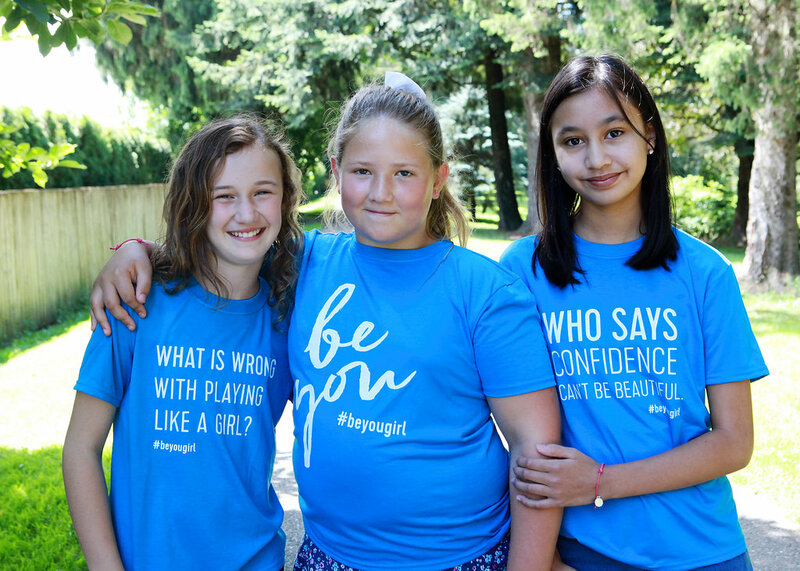 There will be national initiatives bringing girls from all across Canada together to encourage each other to BeYou, as well as local ambassadors, workshops and events happening in each location catering specifically to young girls in that area to support the communities where Morguard properties operate. These are the types of initiatives, that leave a lasting impression and I’m so proud to support the #BeYou programs! 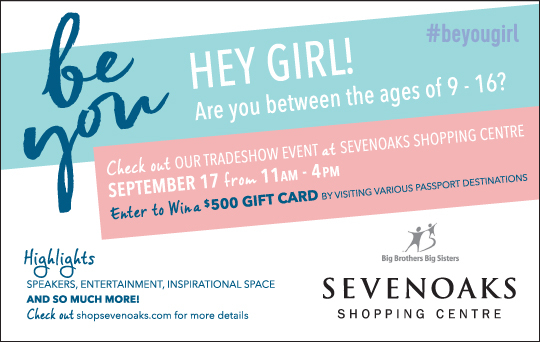 If you have a daughter between the ages of 9-16 check out the #beyougirl event at Sevenoaks Shopping Centre on September 17th from 11am-4pm. There will be speakers, entertainment, prizes and above all, inspiration! Sevenoaks shopping centre is giving one of my lucky readers a $25.00 Gift Card & a copy of The Sparkle Handbook for girls.